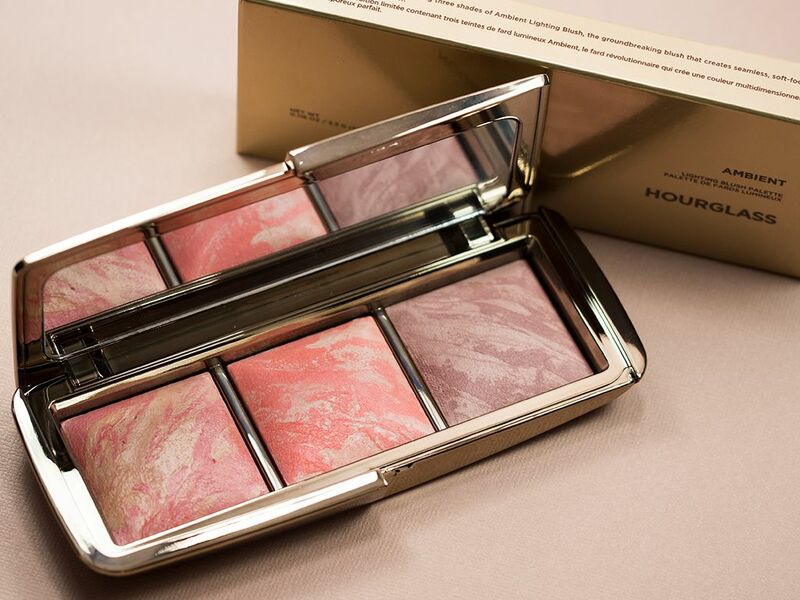 Hopefully you're not tired of all the adoration I have given to the new, limited edition, Hourglass Ambient Lighting Blush Palette. It is a great gift for any makeup enthusiast. So, I'm giving one away here on my blog so someone can adore it with me! This giveaway is opened internationally! Yay! It's opened now until October 31, 11:59PM EST. 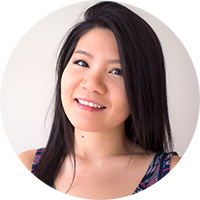 For more detailed rules, check out the Rafflecopter widget above. Ah, sooo pretty! I need this palette in my life!! A new, higher-end foundation is definitely on my list this year. Oh gosh, I haven't even started to think about holiday shopping yet! There's always some makeup on my list though. I would love to win! (: the palette is on my shopping list! (: My email is perezashley60@hotmail.com I have entered. THanks! 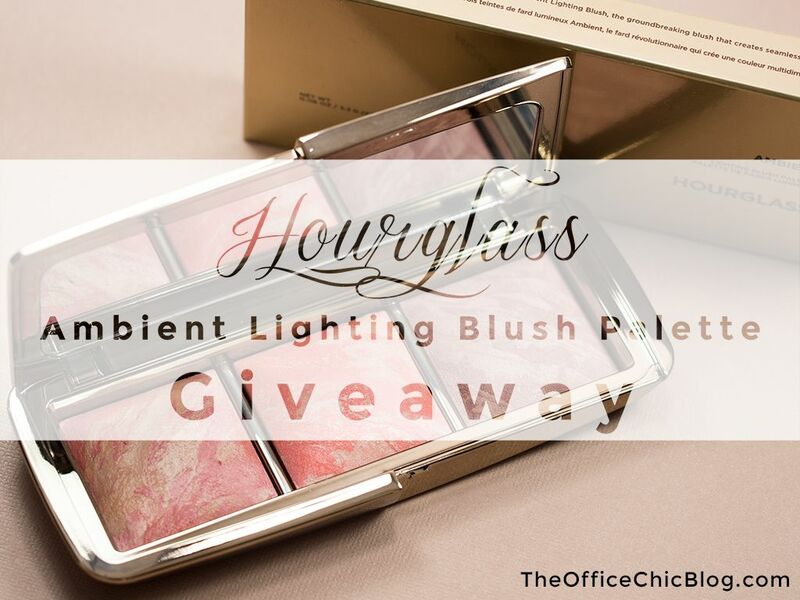 This Hourglass Ambient Lighting Blush Palette is a start for me. My holiday shopping list is limited to a few friends/family. On my shopping list is the Foreo Luna. It sounds amazing. On my shopping list is the LORAC Mega PRO Palette. It looks too dreamy not to purchase! Along with this palette, on my list is the Urban Decay Naked 3 and the Tarte Bon Voyage Collector's Set. Can't wait to try out some new goodies! Such a beautiful palette, you've definitely convinced me to save up for this one as a little gift to myself this Christmas :) Thanks for the review! Really want the Sephora Give Me More Lip set and Naked 2 Basics! Urban Decay Naked Basics Palette and Fresh Sugar Lip Treatment! The new Dior Star foundation is on my wish list! You do it's so pretty! The Urban Decay Naked Palette or Naked Basics palette! I really want that Urban Decay Vice LTD palette! I am really hoping for the Naked 3 palette. Awesome giveaway! On my holiday wishlist is a nice deep red lippie! My holiday shopping list... Gosh I haven't even thought of that yet! Me too... I'm so in love with it! I never bought the single Hourglass blushes simply because I couldn't choose ONE (I only limited myself to own because they are so darn pricey!) shade so I didn't get any. Now, problem solved!! Thanks for the amazing swatches too! I am loving Incandescent Electra! Gorgeous palette! It's my dream! I love Hourglass! I hear you! It took me a few months to pick one, only to find out about the release of this one LOL. And yes, this one is perfect and a pretty good value :D.
This and the Benefit blush set! This would make a great gift for ... me! Looking forward to all the holiday palettes. A Sephora gift card is always on the list. Comes in handy! I need a nice pair of boots, and a new red lipstick! Prada Candy fragrance is on my wishlist. I'm thinking the Urban Decay Vice 3 palette for my sister. The Urban Decay Vice 3 is on my holiday shopping list. Thank you for hosting this unbelievable giveaway! I've been drooling over this blush palette since it was announced! It's definitely at the top of my shopping list, but winning it would make this addition to my collection all the more sweeter! I've also got my eye on Urban Decay's Electric Palette. It's been out for a little while now, but I've yet to pick it up. I didn't think I would like it at first, but now I can't imagine not owning it. I have a new winter jacket and boots on my holiday wishlist. A naked palette is on my holiday shopping list! I've been dying for the Naked palette! the Too Faced Melted lip set! My holiday shopping list is probably a tartan scarf or two! I am so exited for this holidays because I have a lot of makeup products in my holiday shopping list but at the top I have this Hourglass ambient lighting blush palette. It is so Gorgeous and it will be awesome to add this to my makeup collection. I also want the Holiday 2014 Lorac Mega Pro Palette. One of the Lorac PRO palettes! Definitely this palette, and the new MUFE gift sets! A blush from Tarte and a MAC lipstick because I don't own anything from Tarte and really-really want to try Mac lippies! I'd love some Benefit makeup! Those colors are so beautiful. The Lorac Pro Palette 2 is on my list, for sure! The Lorac Mega Pro 2 is on my list. The Lorac Pro 2 Palette! This palette and the pin up palette by tarte! Great choice for a giveaway! Hopefully Hourglass decides to keep this as a permanent item! I've heard nothing short of amazing about the ambient lighting palette. Would love to try it out. For now, it's on my wish list. oh my gosh so gorgeous! Absolutely gorgeous. This is definitely on my Christmas wish list! This looks amazing and one I have got to try super pretty thanks for sharing.